Who is the man behind our new Queensland Winners membership? We sat down with ‘The Professor’ ahead of his much-anticipated debut. Tell us a bit about your studies and career before going full-time in this industry? I spent a long time at University studying doing an undergraduate degree and a PhD. After completing my studies I worked in research in the University system for for 10 years. As my career progressed I found I was spending more and more time thinking about punting and the form rather than writing grant proposals, journal articles or progressing up the academic ranks and I frankly came to the conclusion that it was going to have to be one or the other. I made the only choice possible and decided I was going to somehow find a way to work in racing. Fortunately soon after making this decision an opportunity arose for me to move full time into the industry and that’s what I’ve been doing for the last 2 years. And what about your background as a punter and also your experience in the racing industry? I was introduced to horse racing through my grandfather who liked to have a bet and my dad and uncle who were into harness racing when I was growing up. I remember my first winning bet was on Subzero in the 1992 Melbourne Cup. It was through the Melbourne Cup Sweep we did at school – we were allowed to wager our time, if your bet won you got free time out from class to go play sports – I can’t remember what you did if you lost. I had looked at the form guide the night before and I told my Dad on the way to school that ‘Subbie’ was a moral because he had won the Adelaide Cup over the 3200m. I must have been blessed that day because I drew him in the sweep and had the maximum allowed bet. He duly saluted and I though ‘How good is this!!’. From then on I always had an interest in the horses. Through my teenage years my attention drifted more to sports and music and girls and it wasn’t until my university years that I was attracted back to racing by the champions of the early 2000s including Sunline, Lohnro and Makybe Diva. I spent a lot of time that I should have been studying consuming everything I could find about horse racing and form analysis. I wasted my fair share of money on ‘foolproof’ systems that were guaranteed to make you money betting on the races. After losing my entire bank for about the 3rd time it started to sink in that these type of systems probably weren’t worth the paper they were printed on. There really is no substitute for doing your bank as motivation to improve your punting. I really started to take the form seriously at this point and searched out anything I could find on form analysis and professional punters. When I found something that made sense to me I would incorporate it into my own form analysis and keep what worked and discard what didn’t. After a while I started to have some success but I was wanting to do more. Unfortunately I couldn’t afford subscriptions to ratings services or databases but I recognised that people who had those things had an edge. So I spent lots of late nights teaching myself programming and learnt how to collect data from racing websites and use them to generate my own ratings for horses, trainers and jockeys among other things. As I was able to create these things and apply them to the form I started to win a bit more and to realise that this approach really could work. For a while I did the form for the mid-week and Saturday metro meetings in all 5 mainland states based heavily on my ratings and had good success doing this, producing a set for each meeting that me and a mate would bet off of. When my first daughter was born I suddenly found that full time work plus a baby didn’t leave much time for doing the form. 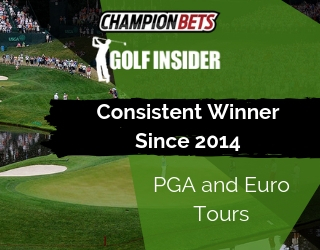 However I had developed my ratings further and was able to generate some fairly reliable prices from them and I moved more towards just betting off of those prices and away from doing traditional form analysis. I had some success doing this and I continue to bet into most TAB meetings in Australia based off of those ratings managing to scratch out some profit. However after a couple of years of not doing the form I started to get the itch to get back into it – especially once I moved into the industry full time and was immersed in racing. That’s when I started to do the form for QLD and I’ve been lucky enough to be able to learn a lot about punting and form analysis from a lot of very good operators – how to assess track bias, how to properly watch race replays, what the market is likely to be drawn to in a horse – all of these things have made me a better punter. Now I specialise in QLD racing combining traditional form analysis and video watching with my ratings as well as betting into most TAB meetings in the country based off of my ratings. What kind of work have you done to develop an edge on the market? Why do you win? I think there are two reasons, one is that I have a statistical edge. Without giving away too much information, I have my own ratings that I have built from the ground up which rely on variables that I have created myself. While these are based on data that anyone could find in the form guide I am confident that there is no one looking at these data in the same way that I am. 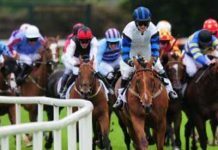 The second is the edge that comes with focusing on a specific region – becoming familiar with track biases, tracking the movement of the rail, becoming familiar with the strengths and weaknesses of certain jockeys and trainers and of course the horses. I think when you combine the statistical / data aspect with video watching and traditional form analysis it becomes really powerful. Would you describe yourself as a sectionals and speed ratings analyst? Or is it more about video replays and knowing each horse, trainer and jockey? Or maybe a combination of all of that? It’s definitely a combination of both. Previously I would have 100% described myself as a sectionals / ratings / data analyst. 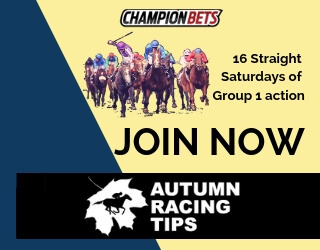 However there is no doubt that the knowledge that comes with watching replays and learning the ins and outs of a particular region – the trainers, jockeys and tracks – improves your punting. I don’t kind of buy in to the whole ‘data’ versus ‘traditional form’ thing. In my opinion both of them provide valuable information – they each give context to the other – and if you are working with only one of them you are playing with incomplete information in a market place where other people have complete information. That’s not to say you can’t win and be successful just doing 1 or the other – you absolutely can – but in my experience I have no doubt that I make better decisions when I have all the information. I don’t understand why you would make a choice to completely shut yourself off from some piece of information that could help you. Do you think the importance of trainers and jockeys is under-rated or over-rated by the betting market? I think both are underrated though I think jockeys more so than trainers. 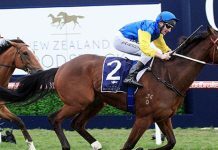 There are certainly jockeys and trainers out there that due to their reputation are over bet because average punters aren’t taking the time to look past the jockey and trainers premierships. 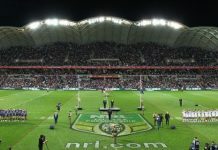 Once you get right to the extreme end of the scale though (think Jamie Kah in Adelaide) you almost can’t over bet them – they continue to out perform expectation even though the cat is well and truly out of the bag about how good they are going. There is definitely an edge in identifying trainers and jockeys that aren’t well known but who are performing well relative to their opportunity. When a horse I like gets a change in jockey from a relatively poor jockey to a good jockey that is a big tick in my book. Is there any one particular aspect of form that is over-rated and therefore over-bet in your opinion? The predictable answer here is weight. I actually think that people are talking less about weight now than they used to and I’m not as much of a zealot as some others about it. I actually think it does have some effect – the laws of physics aren’t suspended for horse racing – but it certainly has been historically overrated and I’ll admit that I don’t give it much consideration when I do the form. Barriers are probably the one that I notice the most. It is amazing how many trainers and jockeys you still hear harping on about the importance of drawing a good gate. 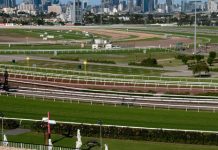 What a ‘good barrier’ is really depends on a variety of factors including the track, the speed map and the horse. At certain tracks / distances drawing an inside gate can be absolute poison for a horse’s chances while there are other tracks where you have to be drawn inside to have a chance of winning. It really is surprising that jockeys and trainers that have been operating at these tracks for years don’t seem to pick up on it. What types of horses and races do you typically target? I definitely like to focus on sprints and middle distance races – I’m not that keen on staying races though I won’t say that I never bet in them. I tend to stay away from races with too many first starters – I don’t do a lot of trial watching so these can be big trap races for me. Outside of that I’m don’t really discriminate the races I play in, if I feel like I’m getting value about a runner then I’ll be happy to bet. In terms of horses this can vary a bit depending on the context. What I’m really looking for is horses that are going to be advantaged by something either the pace of the race, the track bias or both. It’s even better if they are coming off of a run where they have been disadvantaged in some way. It’s no secret that on pace runners are a more profitable group of horses than those that get back in the running and I do tend to focus on these types of horses but again it depends on the circumstances of the particular race and I won’t say I never bet on a get-back horse. What is included in your full Saturday ratings set? The Saturday set includes my rated price for every horse in the race, the market price (at the time of release), suggested bets, an overview of my thoughts on the race including the predicted pace, and specific comments about the key runner(s) in the race. 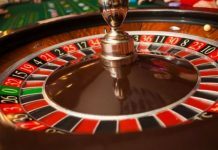 Queensland introduced Minimum Bet Laws at the start of 2018. How has that impacted your betting? The introduction of MBL has been great for punters. It certainly has made 9am a very important time of the day though. If there is something that you want to back that you think will shorten you really need to have the Dynamic Odds alert set up, the bet loaded in your bet slip and be waiting for that clock to tick over to 9am. I don’t know if there is anything more frustrating than seeing the price of something you want to back collapse at about 8:50am. For night meetings it is even worse – having to wait until 2pm before you can get set while the prices just get picked off is very frustrating and I’ve definitely found myself taking a lower price somewhere I know I can get set rather than wait for 2pm. I think it has really just forced me to be more organised – you have to be ready to go at that time of the morning every day or you are going to miss out – it only takes 1 other person to find your horse for the price to be gone. You also have to spend some time thinking about which horses are going to firm – if you like something but think it might get out to a bigger price you have to take the risk of not backing it and hoping that no one else finds it. In general I think the real positive now is that people who have previously been cut off are being allowed to play and the market is reflecting more opinions than it previously did which I think is great. The game has always been about opinions and more opinions tend to lead to more opportunities. We occasionally get asked why someone who is a winning punter would sell their tips. What would you say to them? I definitely understand that question and I think people are right be sceptical. Let me be clear – I’m not a professional punter – I don’t make my living from betting. However I do bet every day into almost all TAB meetings in Australia and my annual turnover is relatively high compared to the average punter. In answer to the question though – there really is a bit of a misconception out there that selling your tips destroys your profits as a punter. 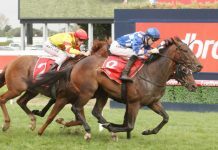 In actual fact the markets in Australia are so determined by a few big players that the relatively small number of people who subscribe to a tipping service backing the same runner with a corporate has very little bearing on the overall market place – particularly given the large number of corporate bookmakers available for people to bet at. What people also don’t account for is that most markets these days are up at least the night before the race – allowing people like myself to bet anonymously with cash at an outlet without affecting the price of the runner. I think its important to know that when I send out a tip you can guarantee that I will have my own money on that runner one way or another. If it goes over we do our dough together, if it wins we celebrate together but we are in it together. Anything else a punter should know about you or your approach to doing the form? Love a good pub meal, love a drink and when I’ve had a few I’m deadly on next to go Greyhounds. In terms of my approach to the form I would say that I try and be as systematic and as objective as possible in order to give myself the best possible chance of making good decisions. I’m excited to get this service going and can’t wait to tip you into a few winners.